I've got another super easy, super quick recipe for you. Using Trader Joe's ingredients, this recipe requires no preparation and can be made within 5-10 minutes. And for those of you who don't have a TJ's, you can sub out with your favorite ingreds from your local store. While I don't normally like to eat canned food items, this recipe is just too delicious and too easy to not indulge every once in while. Just make sure to rinse off the items before adding them to your soup and always, always buy organic! Combine all items in a large pot over medium heat. Stir well. 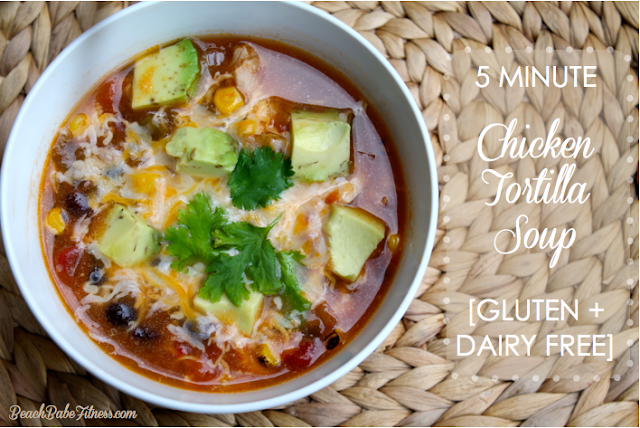 When soup has reached desired temperature, ladle into a bowl and garnish with avocado, cilantro and cheese (tortilla's optional).